Attendees also learned about analyzing their communications efforts through Facebook analytics and Live Video, and website tracking through Google Analytics. Sessions also focused on platform-specific strategy and content development including image curating and editing, building websites, branding across platforms, e-commerce site set-up, and more. “It was really neat to be able to put into practice what we work on every day in the office with real business owners and employees. It’s rewarding to see them excited about improving their online presence and using our resources,” says Chelsie Calliham, communications marketing intern. Participants heard from panelist speakers Jodi Oleen, Kansas Pork Association; Connie Mushrush, Mushrush Red Angus; Patty Reece, The Volland Store; and Rebecca Drew, Grimm’s Gardens. 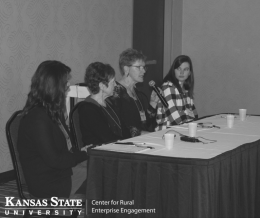 During the panelist Q&A session, they shared their insight and strategy into running a successful business, managing marketing and communications, and balancing time with family. 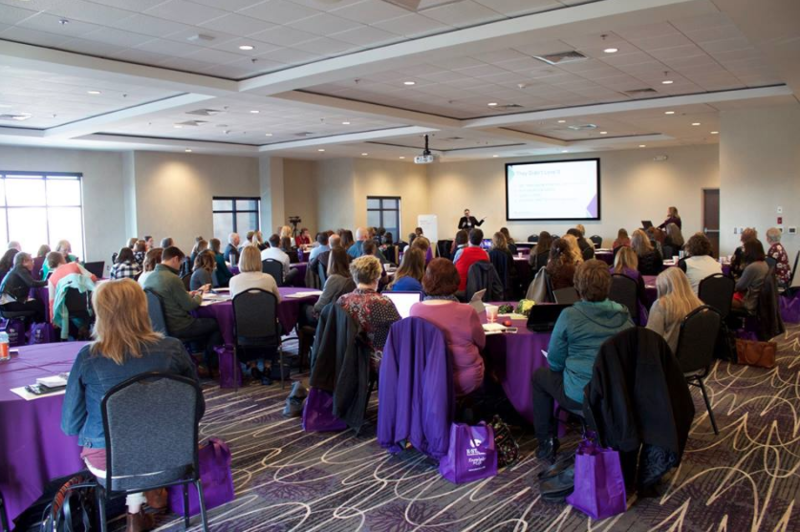 The New-Media Marketing Bootcamp was sponsored by K-State Research and Extension and From the Land of Kansas. The generous donations by each organization allowed their staff and members to attend at a discounted rate. 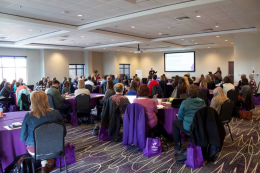 The Insight Summit is scheduled for February 26 and 27, 2019. The event will be in Manhattan, Kansas with more details coming in the the fall of 2018. Find out more about CREE, CREE team members, and the services they provide for rural and agriculture-based businesses and organizations at ruralengagement.org.